This is not a unique story, but it is a pattern being repeated again and again around the country. Police, using overwhelming force to confront the most trivial matters...and arresting anyone who dare film what is occurring. -W.E. While confronting a group of Kentucky teenagers playing with airsoft rifles, heavily armed police arrested one of the teens after he told his friend to keep filming their encounter with the officers. 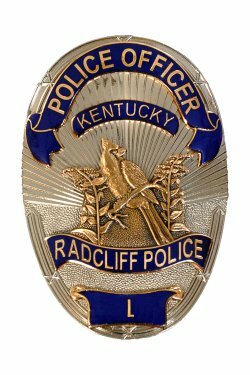 Ryan Seaman, 18, and his friends were on a field in Radcliff tagging themselves with airsoft rifles similar to a game of paintball when a neighbor decided to report them to authorities despite the fact that there were no audible gun shots. Yet this somehow prompted police to show up to the field heavily armed to confront the teenagers. “The officers came out of the trees with their assault rifles,” one of the teens, Jeremy Anderson, said to Wave 3. One officer noticed that Anderson was recording the confrontation with his GoPro camera and told him to shut it off. “You don’t have to,” Seaman told Anderson. After reviewing the incident, Jon Fleischaker, an expert attorney on First Amendment issues, said that the arrest appears to be “possible retaliation by police” for recording the encounter. Seaman, who does not have a criminal record, indicated that he will fight the charges. This incident is notable because it combines two authoritarian trends now occurring in America: the increasing militarization of small town cops and the increasing attacks on the First Amendment. The neighbor who reported the teenagers to police indicated that they may have just been playing paintball but that didn’t stop the cops from gearing up like a domestic army. Then they attempted to deny the teenagers their right to film the encounter. Simply put, this confrontation is a textbook example of Police State USA. And it isn’t the only example occurring recently. Earlier this week in Maine, heavily armed police stormed a man’s home after a tree removal crew reported that the gun tattoo on the man’s stomach was a real handgun.